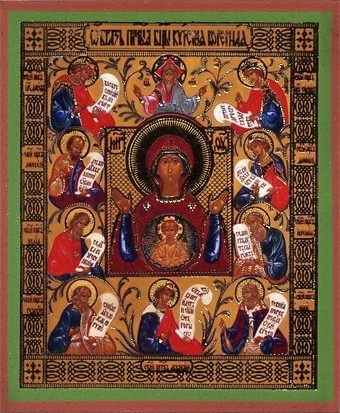 Icons with the Most Holy people. 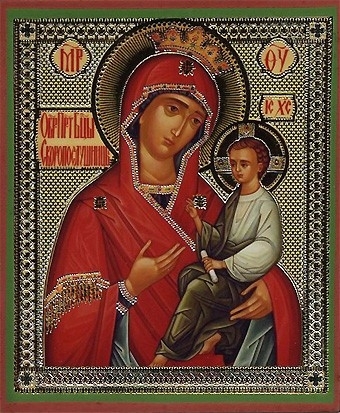 After Christ, the Mother of God is the most venerated icon in Orthodox Christianity. 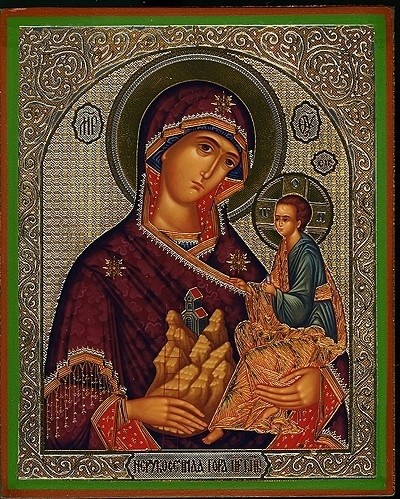 Istok Church Supplies offers a fantastic range of Orthodox icons depicting the Holy Theotokos in various forms. 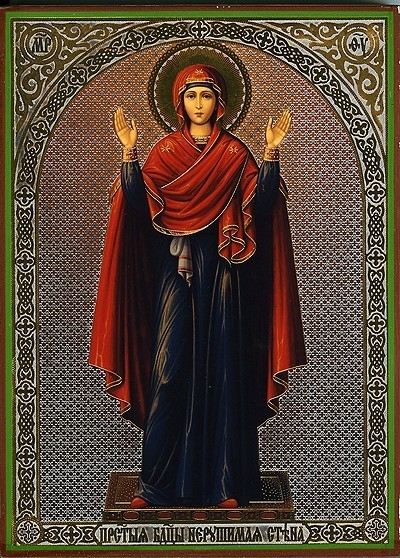 In Orthodox Christian iconography, the Mother of God is sometimes depicted as being in grief or sorrow. But she is always seen as being filled with love, wisdom and spiritual strength. 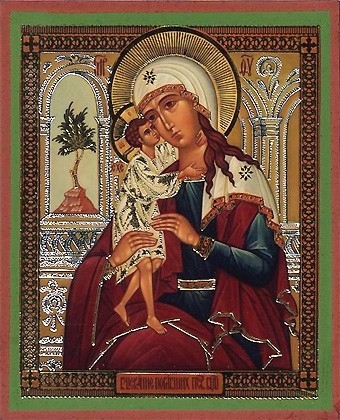 Our iconographers strive to show the image of the Holy Theotokos with as much beauty, dignity, majesty and divinity as they could possibly depict. They are mindful of the smallest details, for example, she is always shown with her head covered as was the norm for the times in which she lived. 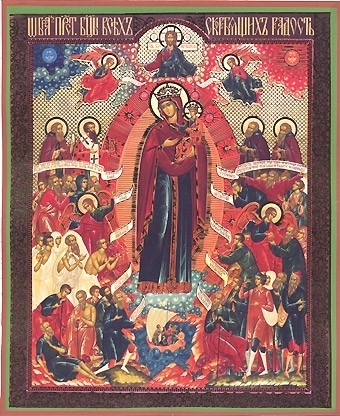 With the spread of Orthodox Christianity to different parts of the world, different communities began to depict the Mother of God in their own way. 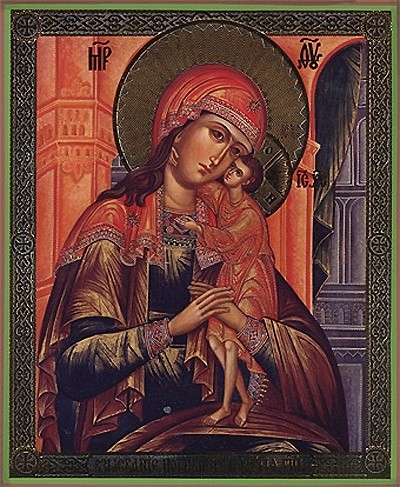 In our collection, you’ll find icons of the Theotokos in traditional Greek Orthodox Byzantine style and canonical style. 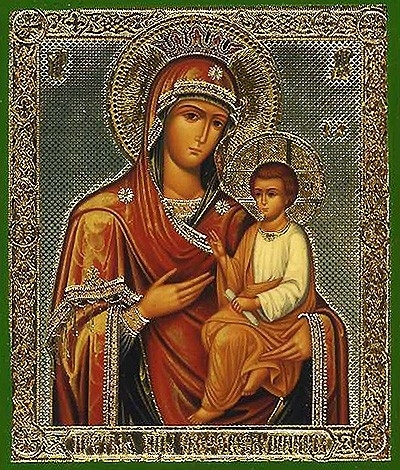 We offer all the types of Mother of God icons you could possibly imagine including The Conception of the Most Holy Theotokos, Lamenting at the Cross, Appearance of Theotokos to St. Cyril of Beloozersk and the Appearance of Theotokos During War, Theotokos Eleusa, Theotokos of Alabaam and Thetokos of Abalatsk. 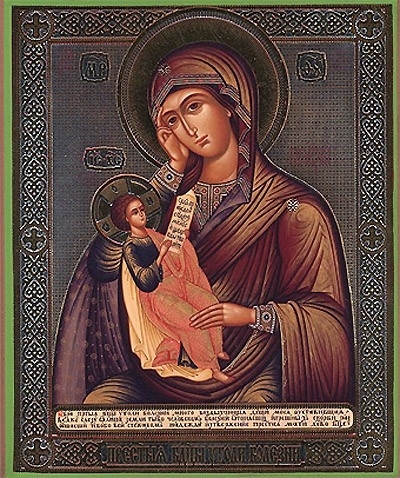 We offer orthodox icons of the Theotokos to fit a wide range of budgets. The cheapest ones cost under ten dollars and even these feature ornate details such as gold imprinting. If you have a generous budget, consider icons that are adorned with brass details, gold gilding, natural pearls, baguette or enamel work. 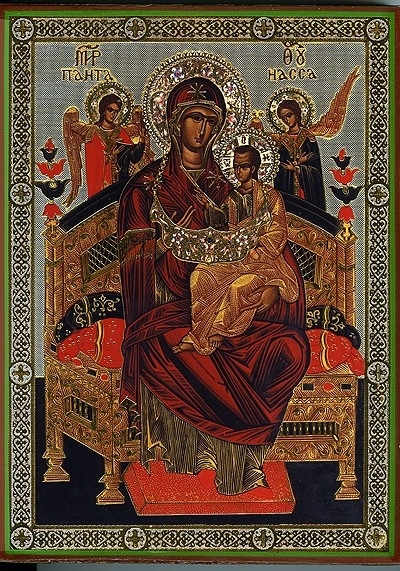 We also have metallic icons of the Holy Theotokos featuring silver gilding and copper detailing. Also on offer are icon folders that include hand painted details as well as hand-cast and hand-polished brass details. Many of these items are available with discounts and special offers - trust Istok Church Supplies to offer best quality products at most reasonable prices! 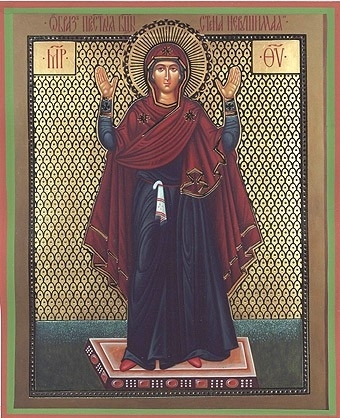 Religious Orthodox icon: Theotokos "Upbringing"
I just received the purple clergy vestment that I ordered from you. THANK YOU for making it a rush order at my request. And, it is a beautiful vestment. I very much appreciate all your efforts on my behalf.